Pretty cool...no highres stuff though. If you're talking about the images of Claritas Fossae, they did put hi-res images up. The 3d anaglphy is amazing! 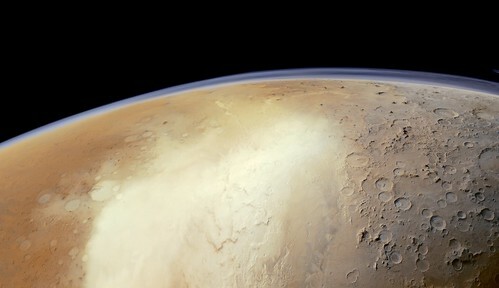 Those craters look so cool...and the ridges that show three levels of depth...breathtaking!  The images are high quality, but with resolutions of 62 meters/pixel. They still have none of the advertized 2 meters/pixel stuff. 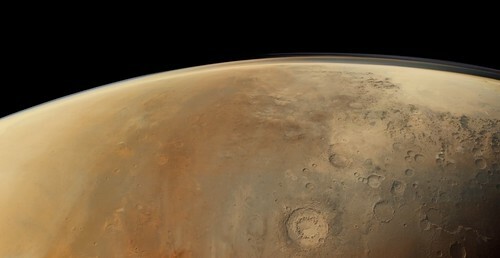 Recently, Emily Lakdawalla posted a couple of fascinating panoramas from the Mars Express HRSC processed by Justin Cowart. One should note, however, that the "Looking over Mars' north pole" image is a laterally-inverted mirror image of the Martian north pole. Also the caption is not fully correct. 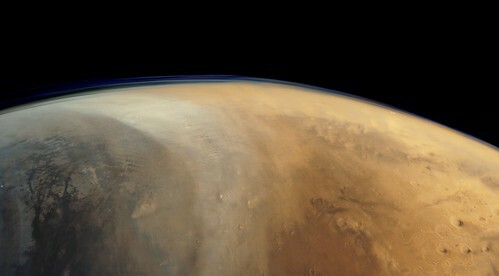 Acidalia Planitia is not visible, but on the left-hand side (in our world, not through the looking-glass) is western Utopia Planitia, in the upper right-hand corner is the transition to Terra Sabaea, and around the northern polar cap extending southward on the right-hand side is Vastitas Borealis. Thanks for the spot. I can't do anything about the information on the blog at this point, but I will be sure to correct the image and update my location notes. The confusion came from using the raw HRSC images, which are mirror flipped for some reason. I must have flipped it twice without realizing it. 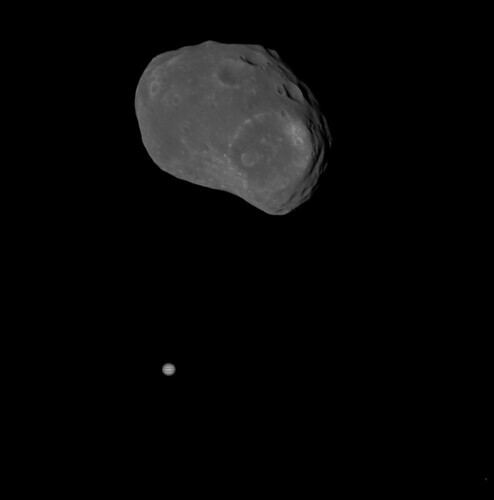 During 2013 and early 2014, MEX was performing a series of Phobos flybys and Deimos imaging sequences. 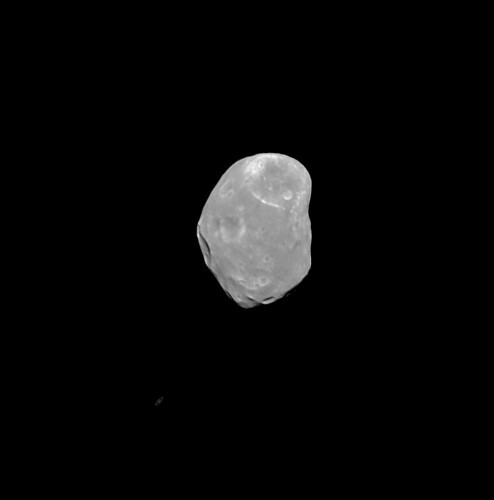 During these flybys the spacecraft acquired up-close images of Phobos with the HRSC Super-Resolution channel, which is a 1024x1024px imager embedded in the HRSC's pushbroom system. 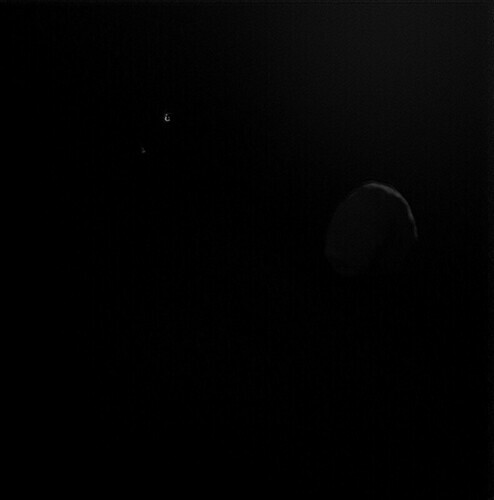 The pointing isn't as smooth as HRSC, but using machi's deconvolution method I was able to increase the sharpness of these images greatly. The system has been used to make a good number of Kodak shots, too. Also nice to see that Saturn is visibly much dimmer than Jupiter; makes perfect sense given the greater distance from our collective light source, but certainly a contrast with the usual illustrations that show all the planets in the same light when lined up. I found a couple of HRSC images of frost deposits in the southern hemisphere.